Directions: The Administration Building is behind the Manitou Springs High School. From Manitou Avenue turn south onto El Monte Place. Travel to the very top of the hill to Manitou Springs High School, turn in and follow the one way drive to the back of the high school. The Adminstration Building is also called the SILC (Shared Integration Learning Center) Building. It is a two story building with distinctive glass windows. 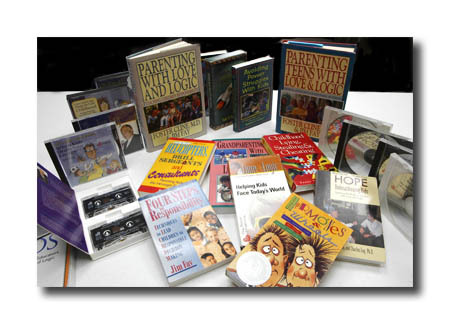 Extensive lending library of Love and Logic books, CDs and DVD's available during the course.